Clean the shrimp and season with 1 tbsp of cajun spice. 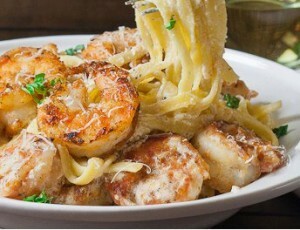 Drizzle the flour over the shrimp and toss in a bowl to make sure each shrimp is covered in flour. In a deep skillet add butter and olive oil and heat over high heat. Add shrimp and cook on each side about 2 min until crisp. Remove shrimp from skillet and set aside. In the same skillet add chicken broth and heavy cream. Season with additional cajun spice if preferred. Cook until sauce thickens a bit from the heavy cream, then add Parmesan cheese and whisk. Add fettuccine and shrimp to the sauce and toss. Heat 1 tablespoon of the oil in large skillet on medium heat. Add onion; cook and stir 5 minutes. Add apples; cook and stir 5 minutes longer or until slightly softened. Spoon mixture into small bowl. Add 1 tablespoon of the honey, almonds, 1 teaspoon of the rosemary, vinegar, ¼ teaspoon of the salt and garlic powder; mix well. 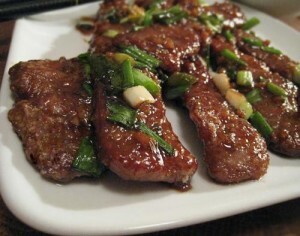 Cut a horizontal slit in center of each pork chop to form a pocket. Spoon ¼ cup of the apple mixture into each pocket. Secure with toothpicks. Mix remaining 1 teaspoon rosemary, remaining ¼ teaspoon salt and pepper. 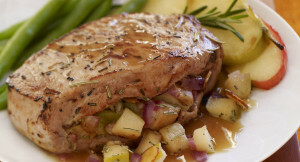 Coat pork chops evenly on both sides with rosemary mixture. Preheat oven to 400. Butter two shallow 2-quart baking dishes. If you’re going to freeze one, use a disposable foil pan. In a large pot of boiling salted water, cook pasta 3 minutes short of al dente; drain pasta and set aside. In a 5-quart Dutch oven or heavy pot , melt butter over medium. Add flour and garlic; cook, whisking, 1 minute. While whisking constantly, gradually add milk; bring to a simmer. Keep whisking frequently as sauce thickens, about 1 minute more. Add mushrooms and tomatoes; cook 1 minute. Take the pan off the heat and and gradually stir in provolone and ½ cup Parmesan. Add chicken and pasta to pot; season with salt and pepper to taste. 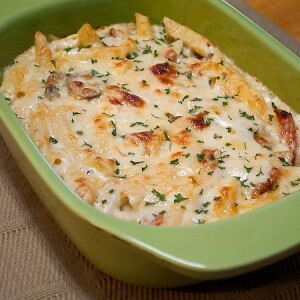 Divide pasta mixture between baking dishes. If freezing, place remaining Parmesan cheese in a zip-top baggie. If cooking, sprinkle on top. Combine the chopped prunes and currants with the creme de cassis in a small bowl, and set aside. 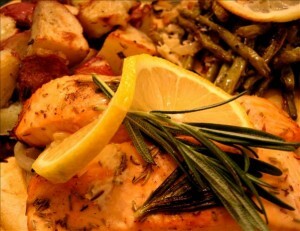 In another small bowl, combine the rosemary, thyme, coriander, salt, and pepper; set aside. Untie and unroll the lamb, lay it out flat on the work surface. Trim off excess fat, and cut any thick parts open so that it is evenly thick and somewhat rectangular in shape. Sprinkle half of the herb mixture over the lamb. 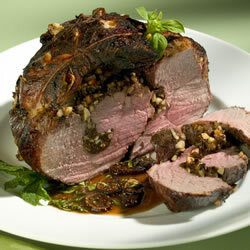 Mix the almonds and chopped mint into the prune mixture; spread evenly over the lamb. Roll up starting at one of the short sides, and tie with kitchen twine in 1-inch intervals. Cut 9 slits about 1-inch deep into the top of the lamb, and insert a slice of garlic in each. Rub with olive oil, and sprinkle with the remaining herb mixture. Place lamb seam-side up on a rack set in a roasting pan. Roast in the preheated oven to desired doneness. For medium-rare, a thermometer inserted into the center will read 140 degrees F (60 degrees C). Remove lamb from the oven and cover with foil. Allow to rest for 15 minutes while proceeding with the recipe. While the lamb is resting, bring the balsamic vinegar to a boil in a small saucepan over high heat. Boil until the vinegar has reduced by half, 4 to 5 minutes. Once reduced, stir in the butter, honey, and sliced figs. Stir until the butter has melted, then remove from the heat, stir in the chopped basil and set aside. To serve, remove the twine from the lamb and cut into ½ inch thick slices. Arrange on a warm serving platter and drizzle with the fig sauce, garnish with mint and basil leaves. Roll dough into a 16x21 inch rectangle. Spread dough with ⅓ cup butter and sprinkle evenly with sugar/cinnamon mixture. Roll up dough and cut into 12 rolls. Place rolls in a lightly greased 9x13 inch baking pan. Cover and let rise until nearly doubled, about 30 minutes. Meanwhile, preheat oven to 400 degrees F (200 degrees C). Bake rolls in preheated oven until golden brown, about 15 minutes. While rolls are baking, beat together cream cheese, ¼ cup butter, confectioners' sugar, vanilla extract and salt. Spread frosting on warm rolls before serving. Combine the egg, mayonnaise, Dijon mustard, Worcestershire, Old Bay, salt, celery, and parsley in a large bowl and mix well. Add the crab meat (be sure to check the meat for any hard and sharp cartilage) and panko; gently fold mixture together until just combined, being careful not to shred the crab meat. 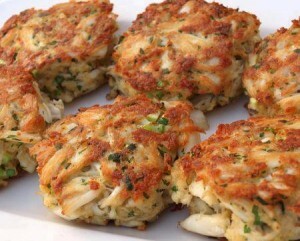 Shape into 6 crab cakes (about ½ cup each) and place on prepared baking sheet. Cover and refrigerate for at least 1 hour. Preheat a large nonstick pan to medium heat and coat with canola oil. When oil is hot, place crab cakes in pan and cook until golden brown, about 3-5 minutes per side. Be careful as oil may splatter. Serve immediately with tartar sauce or a squeeze of lemon. PREPARE Dinners in large saucepan as directed on package. Meanwhile, heat oil in medium skillet on medium heat. Add ham, onions, peppers and garlic; cook 5 min., stirring frequently. 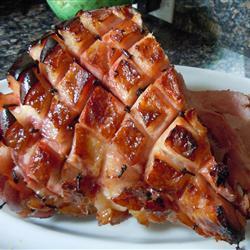 ADD ham mixture to Dinners with eggs and chopped cheese; mix lightly. Mix cracker crumbs and parsley; stir half into Dinner mixture. Spoon into 2-qt. 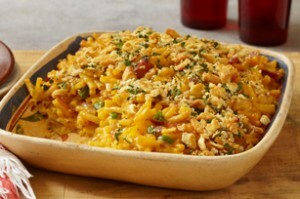 casserole sprayed with cooking spray; top with remaining crumb mixture. BAKE 35 min. or until center is set and casserole is heated through.